President of Station Casinos, Lorenzo Fertitta, had an originally thought of a hotel casino but real estate acquisitions created the scope of a resort project. 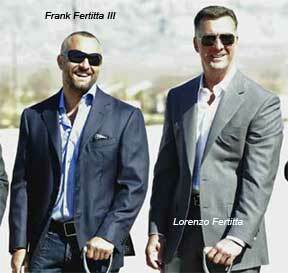 Frank Fertitta III, CEO, said based on density it would eclipse Project CityCenter. Viva Las Vegas has been in the planning phase for over a year. Based on a previous development, Red Rock Station Casino, that took four years of planning before construction begins. Las Vegas real estate acquisition has been commencing for the past nine years. Waiting for MGM Mirage to finish Project CityCenter would help Station plan their mega resort. The current credit market crunch has caused delays in development for Tropicana, Crown Las Vegas and Cosmopolitan. Deutsche Bank says the casino developers won’t have a hard time raising capital because of its private status and track record. Call 702-505-6988 for VIP Las Vegas luxury homes mls search with a Las Vegas real estate agent. Viva Las Vegas mega resort project plans by Station Casinos unveiled.